Team PIP to cycle to raise money! 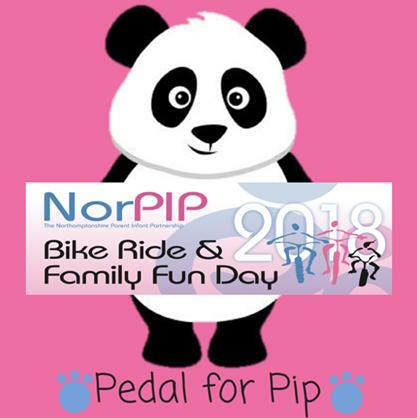 The Silverstone Circuit will once again play host to the annual Northamptonshire Parent Infant Partnership (NorPIP) charity bike ride, at the world-famous Silverstone Race Circuit on Monday 7th May. The event takes place on Monday 7th May, it is a great opportunity for experienced riders, budding cyclists and families, to take on the 3.66-mile Silverstone Grand Prix circuit. Alongside the bike ride a family fun day will be taking place with bouncy castles, entertainment, local stalls and other activities for cyclists, families and children to enjoy. This year will see the return of Ruby Isaac a local budding young cyclist, after raising over £1600 last year she wanted to get more children involved. Ruby ran a competition via social media to get 10 other children of any ability aged between 7-14 to cycle with her. Their aim is to cycle at least 3 laps. Who is Team PIP? Ruby Isaac Age 9, Finnbar Stockley Age 12, Ellie May Stokes Age 9, Isla Faith Spencer Age 10, Billie-Jordon Butler Age 10, Ella Langston Age 11, Billy Turford Age 8, Ruby O’Dell Age 8, Monty Melville Age 8 and Olivia Orme Age 8. Over 300 cyclists are expected to cycle around the circuit enjoying the iconic turns and straights of the track. Trek MK will be on hand as the official bike mechanics to help with any mechanical issues, ensuring cyclists can take full advantage of the track on the day. The family fun day is free and tickets for the cycle start from £20 for adults and £5 for children and are available to buy from the NorPIP website: http://norpipbikeride.wixsite.com/2017 or on the door (CASH ONLY ON THE DAY).